The Forgotten is Now Available! The day has finally arrived! The Forgotten is now available, on ebook at least. For those of you waiting for the paperback edition, you’ll need to wait a bit longer (April 14th). And yes, the fact my book is being released on Saint Patrick’s Day is quite possibly the coolest thing ever. The fact the paperback is being released the day before taxes are due is a little less so, but maybe you should just think of it as something to look forward to that week. What’s with the math? Read the book. What about the “bang” at the end? Read the book. Where can you buy it? I’m glad you asked! 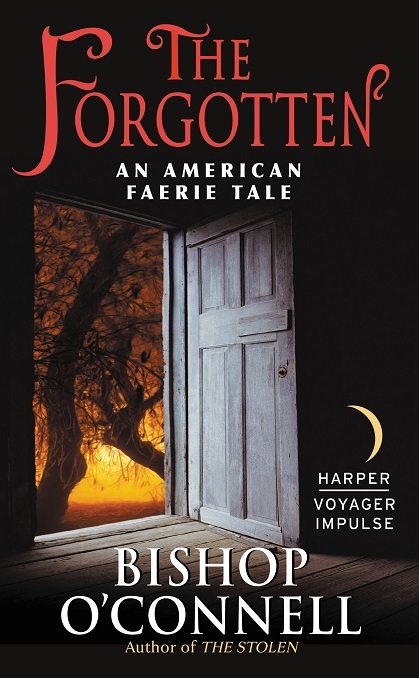 This entry was posted in Writer's Life and tagged American Faerie Tale, The Forgotten, Traditional Publishing, Writing by bishopoconnell. Bookmark the permalink. You’ve definitely peaked my interest! I bought it on Amazon… also bought The Stolen… I am behind in reads and reviews, but as soon as I can get to them, I will read/review on Amazon, Goodreads and my own review blog… so excited! Thank you! I really hope you enjoy them. I’m also glad to know my mind control, err I mean marketing plans are working.